Katie & Brittany sat this one out, (they reviewed another DD production a few years back) and I took over for the week, to bring a Dirty Dancing superfan (my wife) to see SHN’s latest musical. Ariel: I had a good time. A: But the biggest issue is that it felt to me that instead of a set and set design, the whole thing took place in a pinball game. S: Yeah, the fact that they projected 90% of the backgrounds made it feel like it was trying to be a film production with live actors. A: They were in front of video screens almost the whole time. It was really distracting. And it didn’t fit the style. S: And they changed the set more often than they needed to, which made it feel like beat, beat, beat instead of a flowing story. And all the sets were so literal. A: And the story takes place all in one basic setting, they didn’t need to change the backgrounds that much. S: I did really appreciate the set pieces that were there, I thought they were cool. The orchestra up top and the rotating centerpiece added great dimension to it. A: Every time they revealed the orchestra it had an impact. S: Yeah. I was unsure that live music was going to work, but it totally worked. The vocalists were great, and I was glad they were background dancers and not Johnny and Baby, which I had feared. The use of songs was good. The variation between prerecorded and live was solid. The singing and dancing were great. The acting was not as good. I don’t know if that was because of the acting or because of the direction. The movie is so sincere. And in the staged version they were hyper-caricatured versions of those characters. Baby’s sincerity is gone, it’s just her awkwardness, Lisa is just loud and you don’t care for her at all, etc. A: Right, if you have a movie that has that archetypal feel, then you bring it on stage and lose a lot of the nuance, you reduce them down to the essence and it feels forced. S: The combination of that with the constantly changing backgrounds/screens, plus, the audience has seen the movie and they clearly felt a responsibility to give everyone the part of the movie they’re looking forward to, and that’s hard. A: If they left anything out they would have been criticized for leaving that out. S: And what they ended up leaving out was the flow of it. But I did look forward to every number and scene because I too knew what was coming. But there was some really bad acting by people who are really talented at singing and dancing. A: They weren’t allowed time to really act. Somewhere along the way pacing was sacrificed for getting every treasured moment in there. S: It’s a tough one, to please everyone. But they included a lot of scenes that didn’t matter. I wish they had tested this before an audience of super-fans, we could have told them what didn’t matter. A: On film you can get up in a character’s space, but in theater you’re held at a distance, so if you add more time, it has to be used really skillfully, or else it just feels like dead space. So every moment was filled. S: Baby was a little too goofy. But they had good chemistry. I warmed up to Johnny. I liked Penny a lot. A: The dad was more J. Peterman than Jerry Orbach. S: Yeah, I didn’t like the dad. The mom is pretty much a throwaway character in the movie, unfortunately, and even more so here. Considering the subject matter and how strong Baby is in the movie, the mom and the sister are underused. There was also more humor than there was in the movie, which I had to get used to. I think they were trying to make it entertaining for the whole family, hence humor. A: The beginning was a little tough to get into, the second act got a little better, but the finale was great. S: The finale was the best dance. A: The whole room was lit up by it. S: And it was finally not relying on the screens. It was just the people dancing, their energy. It’s a tough one, bringing this to the stage. I think they did a pretty good job. I was entertained and wanted to keep watching. 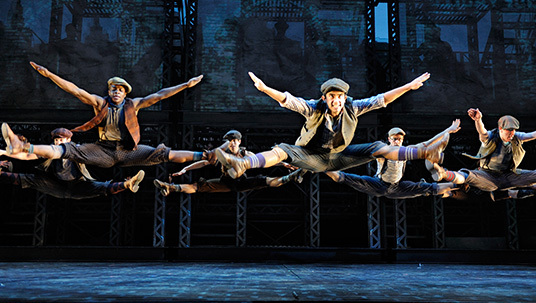 It’s worth it if you love seeing live dancing. Now I want to watch the movie again. On the big screen. The Verdict: If you like to sit at home on your couch and watch Dancing With The Stars, the music and dancing here is well worth getting out of your house. If you’re a huge fan of the movie, you will enjoy seeing it on stage, but maybe you’ll just end up wanting to watch the movie again. And you’ll be excited to go home with a “Nobody Puts Baby in the Corner” shirt. The Drama Talk: We felt like the producers weren’t able to make this their own, since so many different parts of the movie are iconic to the fans who will come out for this. It’s a difficult challenge, and the storytelling suffered. If the singing and dancing weren’t great, it would be a bomb, but those two aspects helped it still feel worth the experience. The Drinks: We went out before the show (had to get back for the babysitter) to Farmer Brown. We split a bunch of appetizers, and they were all really good. Especially the ribs and the shrimp hush puppies. Ariel had an Old-Soul Fashioned, which was all kinds of tasty flavors, and nicely strong. Sharon had the Front Porch Ice Tea, which was good, but tasted pretty watery. 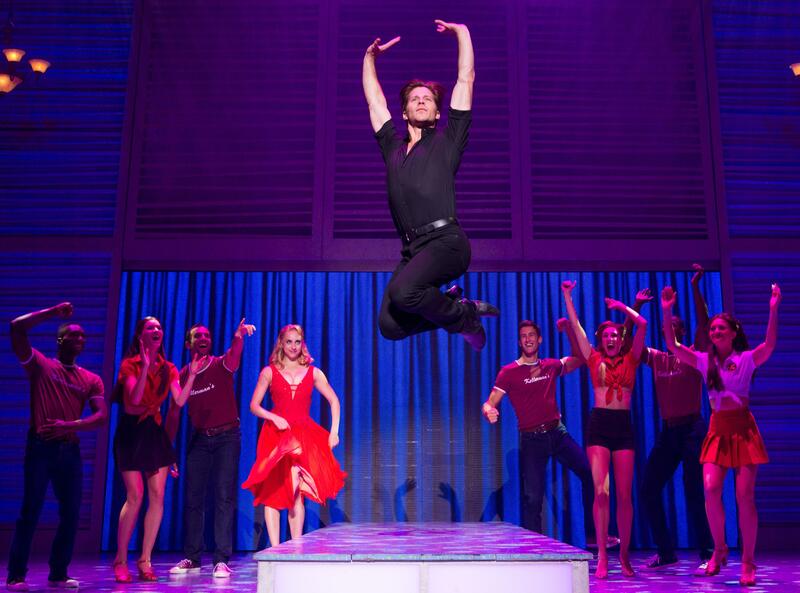 Dirty Dancing plays through March 2oth at the Golden Gate Theater, you can buy tickets here.